FABB entered its seventh year of volunteer advocacy in Fairfax and continues to play a major role in ensuring that the needs of bicyclists are being incorporated into the county’s future. FABB is a strong local voice for those wishing to ride comfortably and safely to work, their child’s school or for recreation. Planning in Fairfax: Early in the year, FABB assisted in finalizing the Tysons Bike Master Plan. Fairfax County is now working on the county-wide bicycle master plan which will determine how bicycle-friendly design should be incorporated into roadway and transit projects as well as what program and policy changes are needed to support bicycling. FABB members serve on the county bicycle plan advisory committee and play a very active role in the project. Several local public meetings will be held in 2012 that will give cyclists opportunities to give input on the plan. The Burke-Springfield area meeting is planned for January 24. Safe Routes to School for Fairfax Kids: FABB is part of a successful ongoing coalition that has worked behind the scenes to bring about policy changes to increase walking and biking to schools all over Fairfax County. New Infrastructure: Bike facilities were installed along Gallows Road, as part of the Soapstone Drive road diet and on the rebuilt bridges over the Beltway. WMATA plans to improve bike access to several Metro stations. WMATA is also planning a bike and ride facility at the Franconia-Springfield station. Volunteers Out and About: FABB representatives continue to speak at many public meetings, appear in media articles, and provide input to various committees. FABB spoke to many groups including the Vienna Bicycle Advisory Committee, Transition Centreville, Burke Walks, Transportation Advisory Commission, Reston Bike Club, and the YMCA. Volunteers worked in all weather at bike light giveaways, bike rodeos, Bike to Work Day events, and more. Thank you as always to all our volunteers. Modes of Communication: While continuing to post more than 250 articles this year alone on the FABB blog, FABB has almost 500 friends on Facebook and 1000 followers on Twitter. We send out our bi-monthly newsletter to more than 1250 cyclists. We have several regular FABB columnists and many articles appearing on the Patch sites. Meetings and Visitors: All are welcome to attend FABB's monthly meetings on the third Wednesday of every month at Patrick Henry Library in Vienna. Usually around 15 people including the county bike coordinator attend. While we conduct a lot of business at the meetings, we also socialize and network. This year, meeting presenters included Randy Dittberner of VDOT, Police Officer Alice Eggers, Allen Muchnick of Virginia Bicycling Federation, as well as speakers on Complete Streets and Open Street Maps. We hope to hold some of the monthly meetings in different parts of the county in 2012. Next meeting: Wednesday January 18 at 7:30 p.m. at the Patrick Henry Library in Vienna. Awards and Honors: In March, FABB received national recognition from the Alliance for Biking & Walking for the Virginia advocates guide that we published in 2010. At the WABA Annual Meeting, FABB member Fionnuala Quinn received the Bicycle Advocacy Award. We appreciate the support and recognition for our work. Fun Times on Bikes: FABB participated in many rides including Bike to Work Day in May. 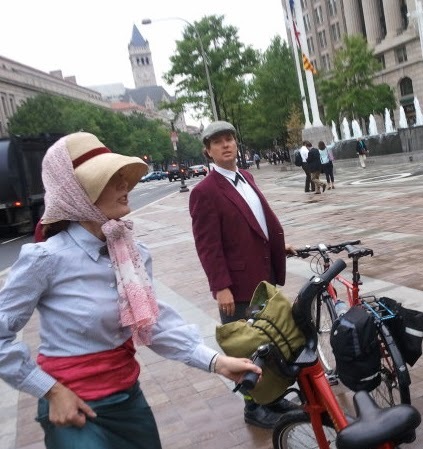 FABB members Bruce Wright and Kerie Hitt organized and participated in a bike/car/bus challenge, which demonstrated bicycling can take less time than driving or riding the bus for short trips in Reston. In August, FABB greeted and provided refreshments for 30 velomobile riders along the W&OD Trail in Vienna. We joined some of the monthly bike trains at Wolf Trap Elementary School, organized by parent Jeff Anderson. The bike trains continue to be an inspiration to the community and we hope to see many more children riding through the Safe Routes to School program in 2012. Conferences and Other Events: FABB representatives attended the National Bike Summit in Washington, DC, Bike to Mason Day at George Mason University, Cyclefest, Paul’s Ride for Life, Earth Day, Herndon Festival bike valet, county health events, Graham Road Elementary School Bike Rodeo, and congressional visits on the Hill. We learned lots and met a wide range of folks working hard on bicycling issues. Disappointment: The three-foot passing law, championed by the Virginia Bicycle Federation, failed to be adopted into law. Another attempt to pass the law will be made in 2012. Happily, No Bicycle Fatalities: After four fatalities in 2010, we are unaware of any biking-related deaths in the county in 2011. However, a number of serious injuries occurred and our work for safer design, education and driver awareness continues. See stats on 2011 bike crashes. News from the Agencies: Several key appointments were filled this year: VDOT Northern Virginia District Administrator, Fairfax County Transportation Director, VDOT State Bike Coordinator and Virginia Safe Routes to School Coordinator. We have established good working relationships with the new officials. Thank Yous: A sincere thank you for the help and support from our volunteers, well wishers, and donors. Thank you also to the public officials who patiently listen and work with us on an ongoing basis. We are all working for safety, access, and the health and well-being of our community. We wish you good riding in 2012 and always remember to use bike lights after dark. For more details on FABB events, see the FABB Events page. See also theWABA events page. Fairfax Advocates for Better Bicycling is a grassroots initiative, affiliated with the Washington Area Bicyclist Association, aiming to make bicycling an integral part of Fairfax County's transportation network. Visit us on the web. If you would like to unsubscribe to the newsletter, send a message to news@fabb-bikes.org. As we've mentioned in the past, FABB has been working closely with school officials to encourage more kids to walk and bike to school. See a summary of this work written by Gina Arlotto of WABA. Fairfax County Public Schools is proud to participate in Safe Routes to Schools, an international effort to encourage more families to get out of their cars and onto their feet to enjoy the many benefits of safely walking and bicycling to school. Parents are encouraged to accompany their children to school and to work with their PTA or PTO to organize walking events. "Walking is a simple way to incorporate exercise into your day," said FCPS Superintendent Jack D. Dale. "We encourage all FCPS students and families to participate in this program and walk or bike to school whenever possible." The program promotes physical activity, pedestrian safety, and concern for the environment. Several Fairfax County public schools have established a Safe Routes to School program and participate in bike and walk to school challenges. Thanks to FCPS for embracing Safe Routes to School and we look forward to seeing more kids walking and biking to school in the future. For more info see the Fairfax SRTS Facebook page and the Fairfax schools Walk to School site. My publisher promised a second edition and e-version a couple months ago, but it got delayed. The second edition had updates and more photos and the addition of keys to summarize the key take-aways in inspiring people and transforming communities, one pedal stroke at a time. And so, I give you these keys now. 1. Look beyond the bike: bicycle transportation succeeds best when combined with investments in compact development, transit, and walking. Engage in and support various efforts to help shape your sustainable community. 2. Key human elements: strong local political leaders, effective community advocates and well trained and supported City staff. With one or two, you can make some progress, but it is the combination of all three that is the recipe for success. 3. Develop and adopt a robust, visionary, comprehensive bicycle transportation plan. Use the planning process to engage your community in a deep conversation about the future of transportation. 4. Develop a network of bikeways that is connected, comprehensive, and gets people from where they are to where they want to go. It should be a combination of off-street paths, on-road separated bikeways, and low-stress neighborhood greenways and must appeal to a wide variety of ages, cycling skill levels, and trip purposes. 5. It’s not just the bikeway infrastructure, it’s the attitude. Embrace the role of encouraging people to bicycle as part and parcel of the way you do business. 6. Get your traffic engineers on bikes as a regular part of their job. 7. Start with the low-hanging fruit: easy-to-implement projects. 8. Court the media and don’t freak out if you get negative press. It’s important to get ‘bike’ in the public consciousness. 9. Set aside at least one percent of your transportation budget to get the ball rolling. 10. Adopt “Complete Streets” policies and/or legislation, then execute! Unenforced policies and plans that sit on shelves gathering dust are worthless. Mitch Wander started bike commuting to a new job this year. He writes about his experiences in a good article on GreaterGreaterWashington, It takes a village to become a bicycle commuter. With links to several good sources of information he describes how he went from driving to work to being a regular bike commuter. After four months in my new, inside-the-beltway job, I'm firmly entrenched within the ranks of DC-area bicycle commuters. The local bicycling and transportation community deserves much of the credit for giving me the information, support and confidence to bike to work every day. With nearly 500 miles of riding to and from work under my belt to date, I've saved money, benefited from a great new workout routine and developed an appreciation for some additional daily outdoor time. And, keeping my car off the road means that I've also made a drop more room on crowded transportation routes for traditional car users. As you make your end of year charitable donations, I hope you will consider donating to FABB. FABB is a volunteer organization that advocates for bicyclist safety, rights, and facilities. We need funds to print materials like our award-winning bicycle accommodations guide, host our website with up-to-date information on bicycling in Fairfax, and participate in key meetings. Can you help us with a year-end tax deductible donation today? Our work was recognized this year with a national award for innovative advocacy from the Alliance for Biking & Walking. We have achieved all of this on a tiny budget. With our dedicated team of passionate volunteers, every dollar that FABB receives goes a very long way. We could be even more effective if we had a few more dollars to help us do this critical on-going work. Please donate to FABB either online or send a check for WABA/FABB” to FABB, P.O. Box 3752, Reston, VA 20195. In 2008, Congress passed legislation authorizing up to $1.5 billion in federal funds for Metro’s Capital Improvement Program (CIP) over ten years. These funds are equally matched by Maryland, Virginia and the District of Columbia for a total of $3 billion over 10 years, or $300 million per year. One key provision is that 1% of these capital dollars must go to transit enhancements, which include pedestrian and bicycle improvements as well as bus shelters, landscaping/ beautification, public art, signage and improved access for persons with disabilities. This requirement provides a vehicle for funding bicycle and pedestrian access to Metro. 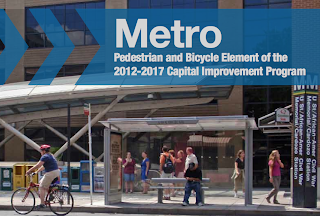 This document summarizes the bicycle and pedestrian element of Metro’s 2012-2017 CIP, detailing funding availability and project descriptions. Currently, $6.6 million is available in funding for bike and pedestrian access over the next five years of the CIP. This allocation is based on current available funding and priorities. Over 20 cyclists attended our December meeting on Wednesday. It was good to see some new faces. Some folks brought holiday treats that we shared before the meeting. We usually have a full agenda for most meetings and we don't often get a chance to just chat with fellow cyclists. We're thinking about having some social time before or after our meetings in the future. We may not go as far as Dublin cyclists who say it isn't a meeting unless you've been to the pub, but we like the general idea. Charlie Strunk, the county bike coordinator, told us about the list of bike projects he is compiling in anticipation of a future Transportation Bond. In the past bike and pedestrian projects have been lumped together. As a result, trail or sidewalk projects predominate. Charlie is preparing a list of on-road projects by Supervisor District. Charlie also noted that the Springfield-Burke Bicycle Master Plan area meeting is planned for January 24 from 5:30-8:00 p.m. at the Springfield District Office. The county bike map is being revised and should be completed by the end of February. It's the most popular map produced by the county and needs to be reprinted so it's a good time to make appropriate changes, like adding the new bike lanes on Lawyers Rd and Soapstone Dr.
Jeff Anderson, Hunter Mill rep on the Trails and Sidewalks Committee, mentioned that the committee is preparing a list of mostly off-road projects for the anticipated Transportation Bond. If there are important bike projects, both on- and off-road, that you think should be included in the list, contact your Trails and Sidewalk committee rep. Jeff also reported on the biking and walking to school policy changes being considered by the School Board which we hope will result in more kids being able to bike to school. We are strongly opposing the removal of the Safety Education section. Adam Froehlig of the Mt. Vernon Council of Civic Associations Transportation Committee asked if FABB could attend the January 9 meeting to discuss thoughts about allowing cyclists on the GW Parkway on weekend mornings. See his blog article about this issue. Another issue of concern to cyclists in this area that we'd like to see discussed is the ability of cyclists to safely cross the Parkway to reach the Mt Vernon Trail. Jenifer Madden, vice chair of the county Transportation Advisory Commission, discussed the importance of including cycling and active transportation in the Community Transformation Grant awarded to Fairfax County in September. The county received "a grant of $499,559 per year for at least the next three years to build capacity to implement policy, system, programmatic and infrastructure changes to promote health and prevent chronic disease." 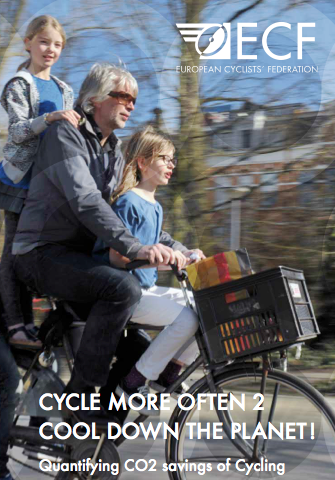 Bicycling for transportation, getting people out of their cars for short trips, is one obvious way to promote health. You'll be hearing more about this effort in the near future. The next FABB meeting is planned for Wed. January 18. 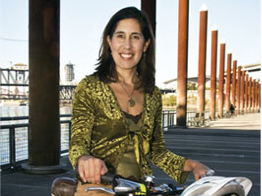 We hope to have Nicole Wynands of the League of American Bicyclists to discuss the Bicycle Friendly Community program. Because we ran out of time we didn't get a chance to schedule our annual retreat, which we hope to hold on Sunday, January 8. If you'd like more info contact me. At the WABA Board meeting last night we elected a new slate of officers. Mark Blacknell, who is also chair of the Arlington Bicycle Advisory Committee, is the new WABA President. The other offices did not change. See the WABA Board page for details. I look forward to working with Mark on the WABA board and I want to thank past President Barbara Kleiforth for her service to the board. Hi, Mark Blacknell here. I’m a cyclist. And a driver. And a pedestrian. And WABA’s newest Board President. Yesterday, my fellow WABA board members placed their confidence in me, electing me President along with re-electing Martin Moulton as Vice President, Paul d'Eustachio as Treasurer, and Randall Myers as Secretary. The board – and WABA as a whole – owe Barbara Klieforth a debt of gratitude for her years of dedicated service as President. Thankfully, she will be remaining on the board, and will continue to help guide WABA. I feel very lucky to be taking this on right now. We’ve got a membership who actively support our mission. We maintain good relationships with most area governments. We certainly have a fantastic and effective staff. In short, we’re in good shape. First and foremost – we need to keep pressing on the basics: infrastructure, enforcement, and education. The area has definitely seen some successes in recent years: infrastructure expansion in DC and Arlington, an explosion of interest in Capital Bikeshare beyond its original limits, and the introduction of an anti-assault bill for cyclists in DC. We can’t rest, though, as we’ve still got long way to go on infrastructure, uptake of cycling by new bikeshare users will require greatly expanded education efforts, and that anti-harassment bill? Is still sitting in committee. We can’t rest, even when it comes to the basics. I also look forward to supporting and expanding WABA’s efforts to reach out to communities that haven’t traditionally been a focus of bike advocacy. The development of our East of the Anacostia project has been thrilling to see, and I hope we can build the capacity for similar efforts with the “Invisible Cyclists” of our immigrant communities. The gender gap is something that should concern all cyclists, and I eagerly anticipate the next step in the process started at the Women’s Bicycling Forum. 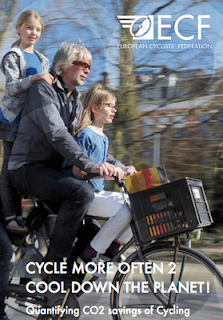 Shorter version: cycling is for everyone, and our advocacy should reflect that. Finally, I’ll be working to improve region-wide cooperation and communication among cycling advocates. WABA can’t – and doesn’t need – to be at the table for every cycling issue that comes up in the greater Washington area. We can, however, help connect and support local advocates in addressing their local issues. On the other side of that coin, I hope to engage my fast friends in MABRAland and my dirty friends at MORE to ensure that when big cycling issues are on the line, we can bring our full and joint voice to the discussion. Froelig’s transportation wish list includes bike lanes, turn lanes, speeds between 35 and 45 mph, timed signals, wide sidewalks and Metro. 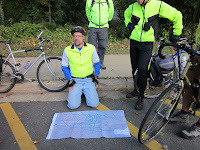 Fairfax Advocates for Better Bicycling member Mark Murphy of Huntington said new developments have made Route 1 more accessible from Alexandria, but heading south on Route 1 past Huntington is difficult. Cyclists are also interested in improved access from Route 1 to the Huntington Metro station. Murphy sees an opportunity to build better cycling amenities as Route 1 is redeveloped. The county is currently formulating the Fairfax Countywide Bicycle Transportation Plan and has held multiple information sessions to gather input from cyclists. Bob Patten, a senior planner with Toole Design Group, the consultancy working with the county, said he hopes to have a draft plan ready to submit to the county’s Bicycle Advisory Committee in April. Feedback from a Nov. 17 information session in Mount Vernon included comments that cycling the corridor is especially difficult during rush hours, that a lack of an alternative to Route 1 between Huntley Meadows Park and the neighborhoods south and west of Little Hunting Creek is a major barrier, that a trail along Cameron Run between Telegraph Road and Route 1 should be built, and that safety improvements are needed for cyclists coming and going from Wilson Bridge. Between 1990 and 2007, greenhouse gas emissions from transport in the EU increased by 36%, while greenhouse gas emissions from other sectors decreased by 15% during the same period. Meanwhile, climate mitigation has moved to the very heart of transport policy and to the heart of broader EU policy. By 2050, the EU has set about reducing its greenhouse gas emissions (GhGs) by 80 to 95% compared to 1990 levels. Consequently, the transport sector will have to reduce its emissions by an estimated 60%. When evaluating different transport modes, it is the bicycle that allows for important greenhouse gas savings. Although not a carbon free mode of transport, the bicycle’s GhG emissions are over 10 times lower than those stemming from individual motorized transport. Pedelecs [electric-assist bicycles], despite their electric assistance, are also found to have greenhouse gas emissions in the same range as ordinary bicycles. This study shows that if levels of cycling in the EU-27 were equivalent to those found in Denmark, bicycle help achieve 12 to 26% of the 2050 target reduction set for the transport sector, depending on which transport mode the bicycle replaces. Most if not all projections and scenarios conclude that measures focusing on improvement alone will fail to meet EU mid-term and long-term climate change objectives. Improvement measures are only estimated to deliver a 20% decrease in transport emission by 2050, using 1990 levels as the baseline. In addition to technological developments and innovations, achieving the EU’s objectives will require ambitious plans which foresee an EU-wide modal shift away from individual motorized transport. Ordinary bicycles, pedelecs and bicycle-share schemes, on their own and in combination with mass transportation, all have the potential to further contribute to a much needed modal shift. From LAB's American Bicyclist Update. Most folks do most of their daily commerce, visiting, and errands within two miles of their homes, really good bicycling range if the engineering is done to support this mode of travel. Engineering, at a fraction of the cost of roadways, can provide for safe, comfortable, convenient, easy moving around our community without being required to use a car. When my wife is comfortable bicycling, then I know the engineering is right. I am a volunteer with Fairfax Advocates for Better Bicycling (FABB), a local advocacy group. Its a way I give back to my community. I am blogging to provide another lens to look at our community. I think we are missing an opportunity. Our county is growing. The region will gain at least one-half million more residents in the next decade. Traffic and congestion is going to get worse. We need alternatives, low cost improvements we can implement within our county. The state is not going to help much. We can look around the world for ideas, here is a thought provoking example of what the Dutch developed to solve their transportation problems. If you view the video, you will see that the Dutch were outraged by vehicle slaughter of their children. We have a similiar problem, plug in Burke or Springfield, VA. The plan needs to include access to areas outside of FFX Co such as DC and Maryland. Access to Chain Bridge is poor and many cyclists use it to get to the C&O Canal towpath and the Capital Crescent Trail. Street sweeping of on-road bike routes is critical. Motorists and bicyclists need better education regarding existing bike laws and the rules of the road. Many roads in the area will be very difficult to retrofit with bike facilities Shared lane markings could be used on these roads. The audience then broke into groups that made comments on the various maps showing segments of the study area. The area is a popular destination for many cyclists. The low population density and scenic roads makes for interesting riding conditions although most of the roads have no paved shoulders. It will be difficult to add new bike facilities in the future given the limited right of way. The summary of the meeting will soon be available on the project website. The Burke-Springfield area will be the focus of the next bike plan area meeting, sometime in late January. At their December 7 meeting the Commonwealth Transportation Board approved the Virginia supplement to the Manual on Uniform Traffic Control Devices (MUTCD). That's a mouthful; what it means is that VDOT can now use Shared Lane Markings (Sharrows), Bicycles May Use Full Lane signs, and new wayfinding signs. See our earlier post about this topic. There are many roads where Shared Lane Markings should be used. Examples include where bike lanes end due to limited right of way: Gallows Road at I-66, Old Courthouse Road at Freedom Hill Park, and Westmoreland St leading to Kirby Rd. Other locations include along Idylwood Rd between the W&OD trail and Idyl Lane, and on many roads where cyclists ride and there is no room for bike lanes or wide outside lanes. The wayfinding signage will help cyclists follow bike routes without having to refer to a map. 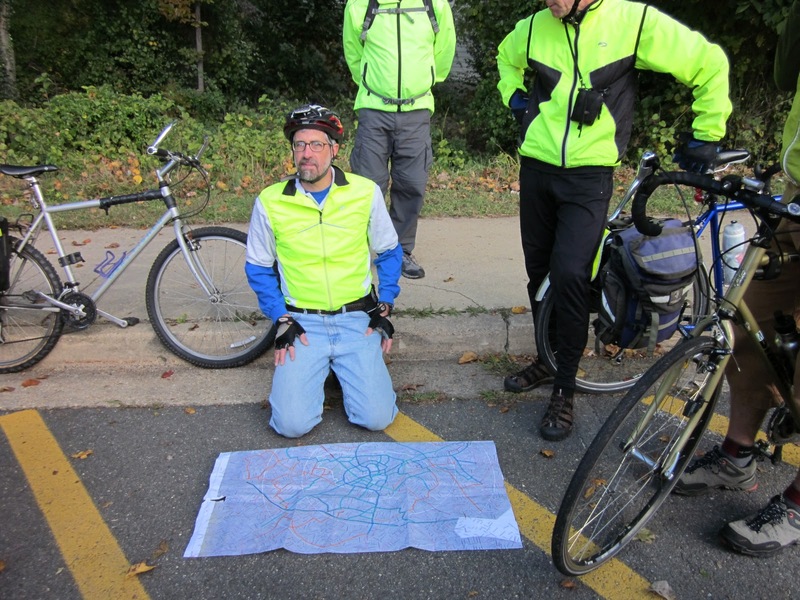 The county bike map is a great resource but not very useful when out on the road. The signs include arrows and can include distance to a destination. Bicycles May Use Full Lane signs let bicyclists, and especially motorists, know that the lane is not wide enough for bicycles and motor vehicles to share and bicyclists may ride in the center of the lane. These can be used with or without Shared Lane Markings and are especially useful where bicyclists are frequently harassed by angry motorists, such as on Idylwood Road. We're anxious to see the first applications of these signs. As part of the WABA Women's Bicycling Forum, Fionnuala Quinn of FABB recently posted the article Small Fields, Hedgerows and U2 by Bicycle on the WABA blog. Fionnuala, recipient of WABA’s 2011 Advocacy Award and manager of the Women Cycling Project, will be a speaker at the forum which will be held on Monday, December 12 from 6-8pm at DC Public Library - West End Branch. You can register online. My mother recalls the great honor of being brought by her father on the donkey and cart into Boyle for her first new bicycle. She rode nine miles back on the bicycle that was purchased for the huge sum of ten pounds specifically so she could bypass the local national school and attend the better school further away. A generation earlier, a bicycle had been similarly bought for her mother so that she too could have access to better schooling. Those Raleigh and Royal Enfield bicycles allowed them to travel the Roscommon roads widely, riding between the hedgerows and small fields that hadn’t changed for hundreds of years. My mother talks of happy times riding with her sisters and collecting other girls en route to school in Elphin five miles away. Before the bicycle, the women and girls of rural Ireland had never had this freedom of travel and the options that brought with it. Three area meetings have been held to gather input from cyclists for the Fairfax bicycle master plan. The Great Falls-McLean meeting, the fourth of eight, is on Monday Dec. 12. For blind corners and steep grades, put signs with blinking lights that detect cyclists (when the sign detects a cyclist, the lights begin blinking to warn motorists that a cyclist is around the corner/going up the hill. They continue blinking until the cyclist is out of the way). If the BIKES MAY USE FULL LANE is used, it may be helpful to add a plaque to the sign assembly that says “FOR SAFETY”, to remind motorists that cyclists who may be in the middle of the lane are not doing so just to annoy the motorist, but rather because it is the safest location for the cyclist to be in when there is no shoulder. Where feasible, [in the uphill direction of narrow roads,] construct a segment of shoulder for bicyclists to use, which allows them to ride outside of the travel lane and then merge in again. Focus on making areas around schools safer to allow all children to bike to school. Focus on education materials to share the road signs, sharrows. Focus on making multi-use path crossings more visible throughout Reston. Ensure that there is dedicated funding for the implementation of the plan. Work with schools to create Safe Routes to School program. Accommodate cyclists at intersections: time traffic lights for bicycle speeds, add loop detector markings, bike boxes, bike signal leads and video detection. Make sure bike parking facilities meet/exceed standards. Please make sure that all bike facilities meet NACTO standards. Ft Hunt Road is a preferred connection for bicycle commuters. Residential streets parallel to the GW Memorial Parkway serve as an alternative route to the very busy Mt Vernon Trail, especially when it is crowded. Short neighborhood connecting paths through parks and school grounds exist but need signage. An off-road path along Ft Hunt from Westgrove Rd, past the Library towards Belle View Road needs to be resurfaced and widened and would improve safety for young people bicycling to/from the library and a school across the street. Conflicts with high speed vehicular traffic, during AM/PM rush hours especially, make it difficult to connect to shopping destinations along the entire Route 1 corridor. Two choke points make it difficult to travel on parallel side streets: one at Route 1 and Buckman Road and one at Beacon Hill Road and Route 1. Crossing Route 1 is also challenging at these and most other intersections. 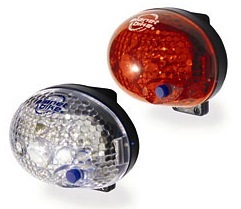 Tonight two members of FABB, myself and Rob Henenlotter, did an impromptu bike light giveaway. Instead of announcing an event and waiting for cyclists to come to us, we traveled on the W&OD trail between Reston and Herndon and asked lightless riders if they wanted a set of lights. Most said yes. With sunset coming so early, many cyclists and pedestrians are out on the trail without lights after dark. We also handed out reflective bands, either the FABB velcro leg band or narrow slap bracelets generously donated by Inova. Pedestrians and runners without lights or reflective gear can be very difficult to see. We gave the bands and slap bracelets to several non-cycling trail users. At one point we were admiring a well-lit commuter bike. It wasn't until after he had passed that we noticed the rider, Tom Wyland, a regular FABB member, on his ride home from work. He stopped and we talked about bike lights for a while. He carries some of our giveaway lights and had just given a set to a rider. As were talking another rider without lights passed us. We handed a set to Tom who planned to offer them to the rider. The Great Falls/McLean area meeting to gather input from residents about needed bicycle improvements will be held on Monday, December 12 starting at 6:30 pm. at the McLean Community Center, 1234 Ingleside Ave., McLean. This is your chance to suggest future routes or improvements to existing routes, bike parking locations, and programs for getting more people on bikes. The bicycle master plan process began this summer and will be completed next year. This is the fourth of eight area meetings. Presentations and notes from the Clifton, Reston-Herndon, and Mt Vernon area meetings are now available on the Materials & Resources page of the project website. Unfortunately this meeting conflicts with the Women's Bicycle Forum hosted by WABA in DC. FABB's Fionnuala Quinn is one of the invited panelists. If you're not planning to attend the Great Falls-McLean meeting why not check out the Forum. We were very disappointed to hear that the Vienna Town Council voted down a proposed snow removal ordinance at their December 5th meeting. Unfortunately, this was the first we had heard about the proposed ordinance. Otherwise we would have testified in favor and would have encouraged others to do the same. While we are aware of the dangers of riding on the sidewalk, many people do it anyway. In fact, Vienna Police encourage people to ride on the sidewalk and not in the street on Maple Ave. Not having plowed sidewalks prevents these people, many of whom depend on bicycles as their main form of transportation, to get to jobs and other places. Children walking to school in the winter would also benefit from the ordinance. It works in Alexandria and other Arlington and we think it could be made to work in Vienna. One of the main arguments against the ordinance is that even when sidewalks are cleared, snow plows will often dump snow from the road onto the sidewalk. I assume the same thing happens in other communities and they figure out ways to deal with it. Otherwise, the message this sends to residents is that we care more about moving cars than moving people. The only votes in favor were from Councilwomen Laurie DiRocco and Carey Sienicki. We hope the town reconsiders in the future. To view the video of the public hearing, it's at about 22:40 of Part 1. This interesting map of road fatalities between 2001-2009 was discussed at Greater Greater Washington a while back. It includes pedestrian, motorcyclist, and bicyclist deaths as well as motorists. The purple dots represent vehicle occupants—not necessarily drivers—who were killed. It may look like a lot of purple, and it certainly is, but when you zoom in closer you see a lot of blue dots, for pedestrians, as well as an awful lot of yellow dots, for motorcyclists. The green dots for bicyclists are fewer and farther between, but if you zoom into the cities, you'll find them. Each dot even lists the year of the crash and the victim's age and gender. ITO World got their fatality data from the Fatality Analysis Reporting System of the National Highway Traffic Safety Administration. It appears they've captured not just fatalities on highways but on local streets as well. The World Health Organization reports 12.3 annual traffic deaths per 100,000 inhabitants in the United States. Compare that with 3.85 in Japan and 4.5 in Germany. If the U.S. achieved similar rates, more than 20,000 deaths would be prevented each year. This map is a useful way of visualizing the terrible consequences of our auto-addicted culture. Beyond that, it can be an indispensable tool for community transportation advocates to show local officials where problem spots are and how their community compares to others. How the Dutch Got Their Cycle Paths - Given the reputation of the Netherlands as a cyclist's paradise, you might think that its extensive cycling infrastructure came down from heaven itself, or was perhaps created by the wave of a magic wand. Not so. It was the result of a lot of hard work, including massive street protests and very deliberate political decision-making. My Short Trips Campaign, Belgium - My Short Trips program helps small towns and municipalities encourage individuals to take 20% of their short trips (under 5 kilometers) on foot or bike for one month a year. The Transportation Planning Rule Every City Should Reform - San Francisco is currently in the process of drafting a new sustainable transportation metric that will replace LOS and promote livability. The Death of the Fringe Suburb - Boomers and Millennials want to live in walkable urban downtowns or suburban town centers. Occupy All Streets: The Role of Carfree Cities in a More Sustainable World - Cities in the modern era have been overrun by cars and trucks. Carfree cities are a delightful solution to many different problems at once. Last night we attended the public information meeting on the I-66 Multimodal Study Inside the Beltway. It was a pleasant ride from Reston using a combination of local streets and the W&OD Trail. The temperature was in the 60's and there was a light rain; much better than fighting rush hour traffic through the Tysons/Vienna area and it probably took about the same time to get there. The last three "Specific Issues" are located in Fairfax and are much-needed improvements. Unlike the other bike recommendations they are not related to the W&OD Trail or the Custis Trail, in part because the Custis Trail ends in Arlington at the junction with the W&OD Trail, which at East Falls Church diverges from I-66. We recommended that the Custis Trail be extended to the Beltway (the limit of this study) and beyond. Route 50 at the Beltway is included in the study area. We recommended that bicycle access be provided along Route 50 to connect the residential and commercial areas in Merrifield and Dunn Loring with areas east of the Beltway along Route 50. This stretch of Route 50 is a nightmare for bicyclists and pedestrians due to the character of the road and the number of exit and entrance ramps. "LOS is one of the most widely-used traffic analysis tools in the U.S. and has a profound impact on how street space is allocated in U.S. cities," writes Jason Henderson, geography professor at San Francisco State University, in the November issue of the Journal of Transport Geography. As Henderson argues, it's about time cities addressed the problem, and San Francisco is doing just that. It's currently in the process of drafting a new sustainable transportation metric that will replace LOS and promote livability. Still, the fight is far from over. "Every city I've ever come across has some use of [LOS]," says Henderson, who has conducted an extensive review of LOS and is writing a book on the politics of mobility in San Francisco. "LOS and the privilege of the car is the incumbent. The way the political process is set up is you have to disprove the incumbent." The draft I-66 Multimodal Study results will be published any day now on the project website. We were interviewed by NBC4 reporter Jane Watrel but we haven't seen any coverage of the event yet. We'll post a link here if there is.